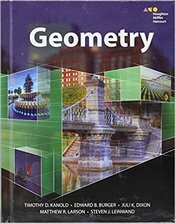 Geometry is the second course in a sequence of three required high school courses designed to ensure career and college readiness. 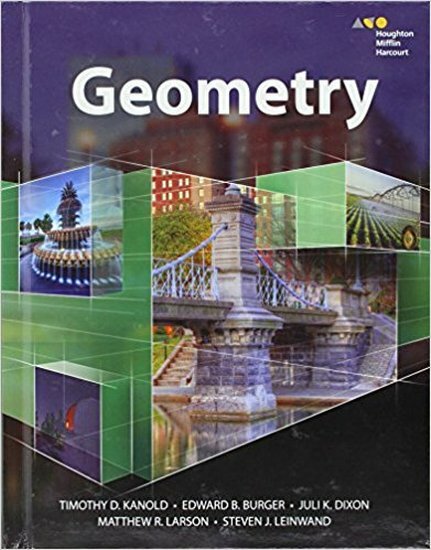 The course represents a discrete study of geometry with correlated statistics applications. The standards in the three-course high school sequence specify the mathematics that all students should study in order to be college and career ready. Additional mathematics content is provided in fourth credit courses and advanced courses including pre-calculus, calculus, advanced statistics, discrete mathematics, and mathematics of finance courses. High school course content standards are listed by conceptual categories including Number and Quantity, Algebra, Functions, Geometry, and Statistics and Probability. Conceptual categories portray a coherent view of high school mathematics content; a student’s work with functions, for example, crosses a number of traditional course boundaries, potentially up through and including calculus. Standards for Mathematical Practice provide the foundation for instruction and assessment. The end-of-course (EOC) measures are administered at the completion of the course, regardless of the grade level. These measures serve as the final exam for the course, and contribute 20% to the student’s final course grade.